travel with your pet! Pet Friendly Banff! 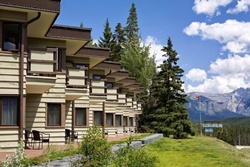 Pet Friendly Hotels in Banff, Canada! Want a quick list of petfriendly hotels? 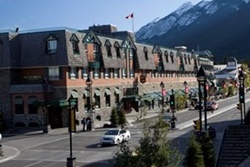 Do a search on my favorite, TripAdvisor, already filtered for Banff and petfriendly: here is the link. Or Book using Hotels.com. My strawberry hand-picked selection is below! 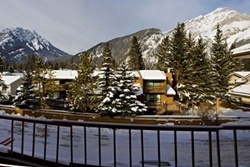 Discount Ski Tickets and Ski Rentals and Restaurants For Banff in Winter! 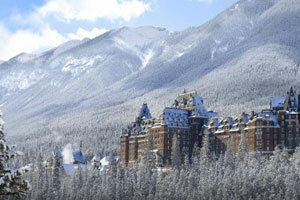 Fairmont Banff Springs Resort - Book it! 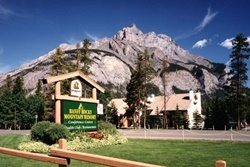 Banff Rocky Mountain Resort - Book it! Pets allowed for a $25 per pet per night fee, hotel must know in advance, fee includes treats, dog bed, bowls, toy, and more. 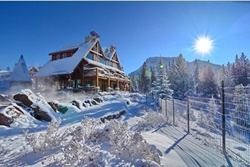 Hidden Ridge Resort - Book it! The Prairie Creek Inn Bed and Breakfast- Book it! 5 Pet friendly rooms, pets allowed for $25/night. 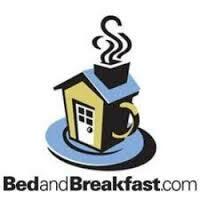 Calgary Westways Bed and Breakfast - Book it! Westways is a 1912 Art and Crafts home known for its reputation in offering comfort, elegance and a warm friendly ambiance. Within walking distance of downtown, Telus Convention Centre, Calgary Stampede, BMO Centre and the Scotia Bank Saddledome. Free off street parking, free WiFi in all rooms, free local calls. 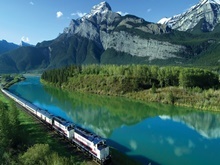 Westways is Calgary's only B and B with 3 Diamonds rating from CAA/AAA ensuring that Westways is the best B&B in town for location, value & amenities. We are here to help you to facilitate your stay and for to you to experience genuine hospitality. Relax, be comfortable & be you. Read Reviews. Type "Banff" and your dates! Best Western recognizes the ever growing needs for pet friendly accommodations. "We strive to offer our guests and their furry friends a comfortable stay and have done our best to ensure consistency at all of our pet friendly properties. There may be a maximum $20 per day charge for each room with a pet or multiple pets or a maximum per week charge of $100. A refundable damage deposit of up to $50 per stay may be required of all guests with a pet." 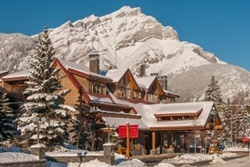 Mt Royal Hotel Banff - Book it! 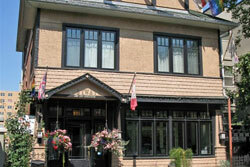 Red Carpet Inn - Book it! Pets allowed max 2 pets per room, for a $25 per pet per night fee. Pets may not be left unattended, furniture is for humans. 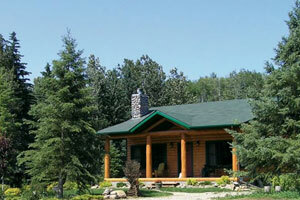 Best Western Plus Siding 29 Lodge - Book it! 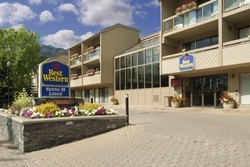 list of Bestern Hotels in Canada! 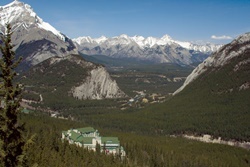 Rimrock Resort Hotel Banff - Book it! Daily Charge: $40/pet / per day, additional pet is @ $20/day, plus taxes; Two pets maximum per room. In your room you will find a pet bed, food and water bowl as well as a fresh dog biscuit and doodoo bags. There are terrific walking trails near the hotel that you and your pet will enjoy! 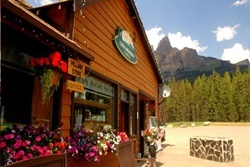 Castle Mountain Chalets - Book it! Juniper Hotel and Bistro - Book it!